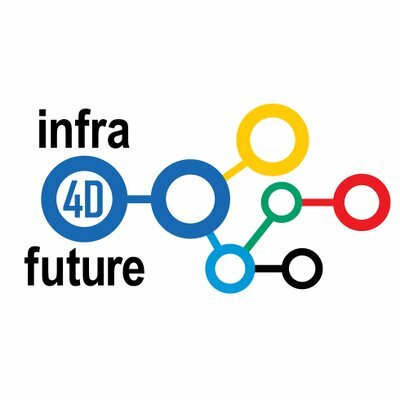 The objective of this first i4Df Expert Workshop is to fix, develop and describe the innovation focus areas for a common vision on road and rail infrastructure innovation and implementation needs until 2040. The Expert Workshop will build on the outcomes and results of the first i4Df Stakeholder Conference held in Brussels on 11 December. The innovation focus areas are highly important to setting the direction of cooperation, both from a multi-modal as well as from a cross-border perspective. This common vision will set a reference base for the further activities of the i4Df initiative and its subsequent engagement with relevant stakeholders from public, industry, and research. More details of the i4Df approach and the expected impact can be found on www.i4df.eu. Infrastructure optimally meeting end-user needs: The ability to provide the optimal transport infrastructure network capacity and to accommodate ever increasing transport needs, balancing cost, performance, and risk, delivering infrastructure as a service to society. Infrastructure meeting environmental and social sustainability needs: The ability to embed transport infrastructure networks in their immediate surroundings, optimally balancing interests from economy, society, and environment. Infrastructure achieving added value from digitalisation: The ability to harvest the benefits from digitalisation in the own, internal processes of transport infrastructure management (e.g. planning, design, construction, operation, end-of-life) as well as in the relation between transport infrastructure management and its end-user (smart mobility and logistical services, individual end-users). The discussion will also take into account the professional competences matching the future infrastructure capabilities and the necessary development of human resources that allow a proper use and implementation of innovations. The updated description of the infrastructure innovation focus areas for 2040 will serve as guidance for further corresponding main topics for programming. Subsequently, these will be input to the second i4Df Stakeholder Conference in May 2019.